This gorgeous coat is exactly what you want to wear to bring a touch of glamorous sophistication to your look as the temperatures drop. The A shape is amazingly flattering, being fitted over the bust and flaring out gently to skim the figure, creating a smooth silhouette. The fabric is both warm and lightweight, whilst the print is bold and beautiful. 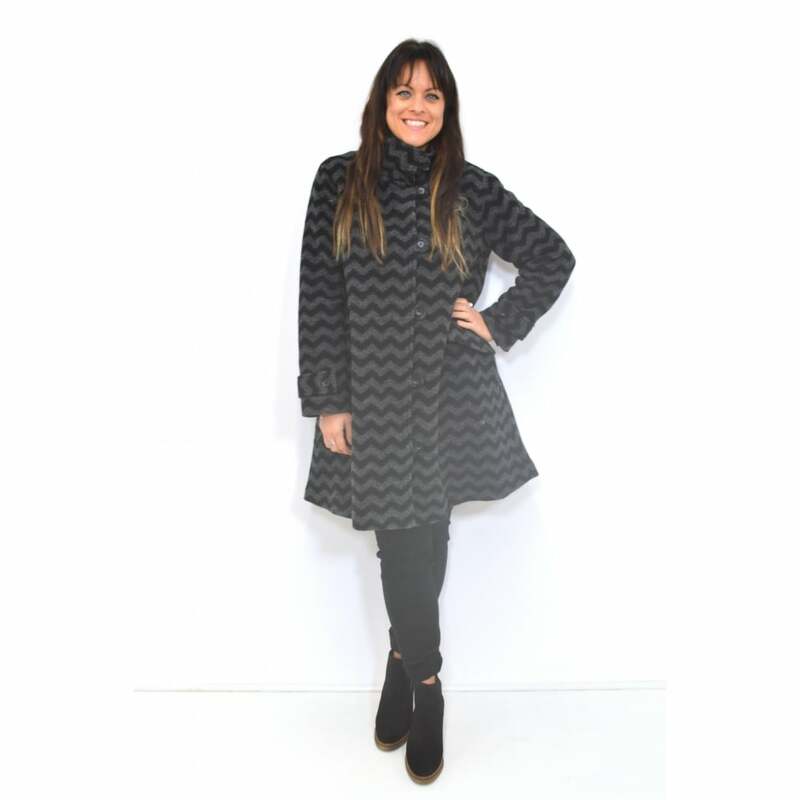 This is a statement coat with a unique pattern that is always stylish. One of our favourite details are the contrasting cuff straps.